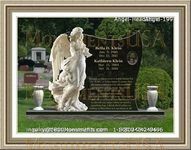 Choosing the music for a memorial service is a very important task as it sets the mood and overall tone of the occasion. 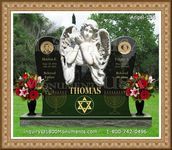 The preferences of the deceased should always be respected, especially in regards to whether they would like upbeat melodies or somber tunes. There are a few guidelines one may use to make the best selection of funeral hymns. 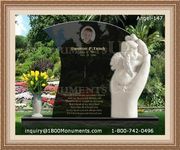 First and foremost, if the deceased has left any special instructions as to selections they would like to have played, those wishes should always be honored. If there are no such directives in place, then take into consideration if they were one more for religious classics or leaned more towards the contemporary style. The service is meant to accurately reflect the preferences of the one who has passed on. Being lovely, meaningful and touching are great attributes for a hymn, but there are a few more aspect to consider before making a selection. For starters, a decision should be made as to whether the song will be sang by an individual, a choir, the congregation or if a recording will be played. The performance method will effect the tune's appropriateness. If an individual, choir or musical ensemble is to perform the piece, selecting a more specialized arrangement is acceptable. When the congregation is expected to sing, it will be necessary to choose something that is fairly well known and in an easy range for most people. It would not have the same effect if only one person were familiar with a song intended for all. The words being sung are very important. Their purpose is to communicate a particular sentiment in an easily understandable way. If the lyrics are difficult or the structure is too complicated, the people may not be able to effectively relate to the song's message. Selecting funeral hymns is a matter of balances. It entails weighing what the deceased would have liked and what the attendees will be able to sing. Length, content, speed and mood are also things that will need to be taken into consideration.